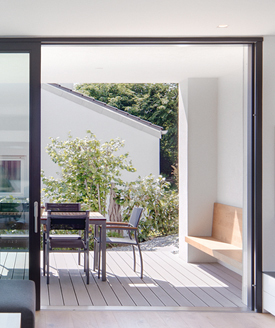 ENERGATE® windows in a wood-aluminium design are a high-quality product which combines the advantages of both materials. Due to its excellent heat insulation properties and naturalness, wood is a material which just makes you feel comfortable. The outer skin made of aluminium provides excellent weathering resistance and protects the wood. Systems 1202+ & 1202 are passive house suitable.